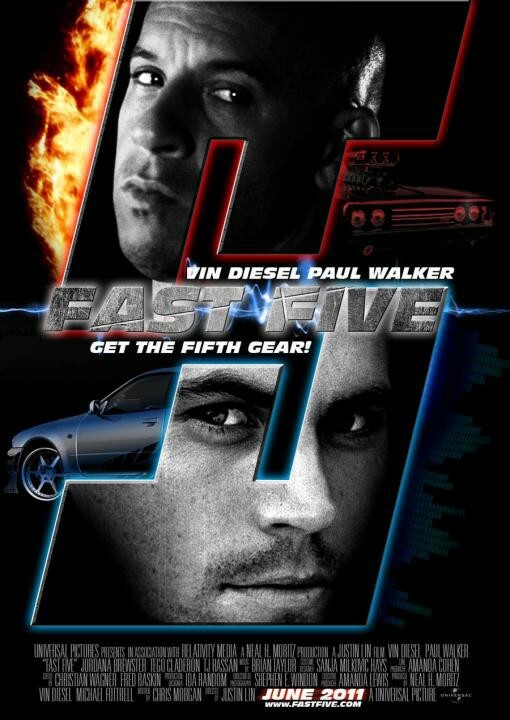 Vin Diesel and Paul Walker lead an all star cast reunion from the Fast and Furious series for the new car and crime movie Fast Five. Fast Five continues where Fast and Furious left off, with Dominic sentenced to 25 years in jail and the bus chase that was seen at the end involving Mia and Brian. The aftermath of their interception was that they managed to break Dom out of custody, dodged every authority, and have fled to Rio de Janeiro. In order to break free, they attempt to pull off a 100 million dollar heist. It isn't long before they all become a few of the most wanted criminals. 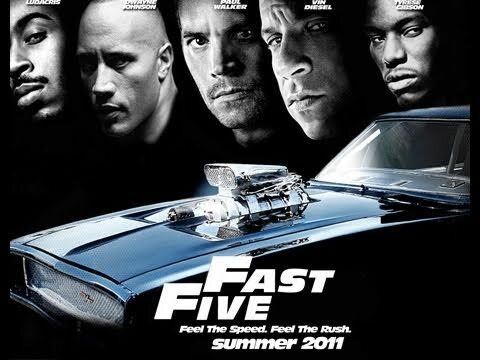 The first act of the film is fast and furious. It quickly takes the audience on a relentless train ride where we see a train robbery in process. This act quickly builds up a background for the story so the audience knows who, what, when, how and why the team are in Brazil. The second act revolves around the main plot element of the $100 million heist. The film decelerates slightly here when we see the crew plotting. Anyone who would have seen the details of the film beforehand would realise why – this lasts over 2 hours, longer than all of the previous films. The 10 minutes after a full two hours weren't really necessary but show us the aftermath of the third act, the hugely thrilling act. Any who feel frustrated at the pace of the second act – stay for the climactic scene in the third act.